Half Foam/Half Springs Hybrid: A hybrid mattress delivers the best of both worlds: memory foam on top for body-conforming comfort, with specially engineered springs underneath for full-body support. Premium Cover Fabric: Premium-weight, lofty stretch knit fabric with soft spun yarn that allows the memory foam underneath to easily conform to your body. Side panels use a breathable border fabric that allows more airflow to help keep you more comfortable during the night. Cooling Gel Memory Foam: In the top half of the mattress, layers of gel memory foam for body-conforming comfort and reduced motion transfer. 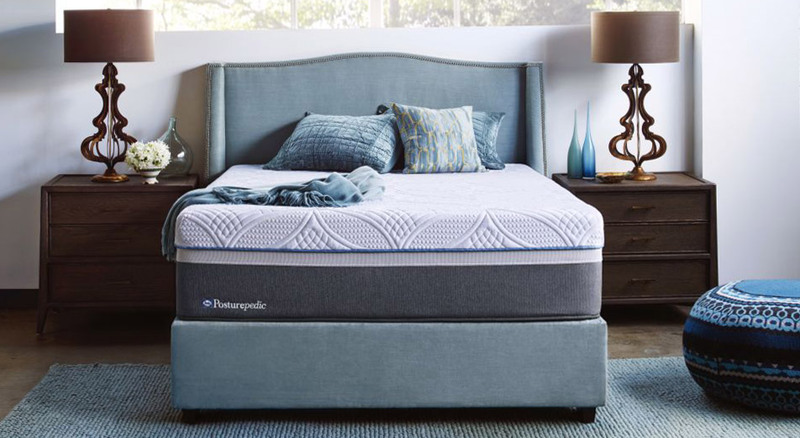 Many models feature gel memory foam infused with cooling material to help keep you comfortable during the night. Zoned Sealy Embrace™ Premier Coil: Premium version of our specially engineered encased coil system for even more precise and exceptional support. Encasing allows each coil to move independently, for more targeted support and reduced motion transfer. Nearly 20% more coils throughout respond to the natural curves and alignment of your spine, for exceptional full-body support. In the center zone, nearly 20% more coils for even better support where you need it most. CoreSupport™ Premier Center: Premium version of our exclusive feature, with even more reinforced gel memory foam in the center third and nearly 20% more coils, for exceptional support and durability where you need it most. SolidEdge™ HD Premier System: The premium version (wider, at 3 inches) of our reinforced border around the mattress edge so you can use the full surface of the mattress, as well as providing a solid seating surface.